Its the end of 2017 and Intel has been plagued with issues regarding its industry-leading 10nm process; and considering it had spent the better part of multiple decades building a narrative around process leadership – it was in a ditch of its own making. Imagine trying to rewrite a decades-old narrative in front of a highly technical press that has been fed the very same narrative for years and whose entire job is to see through any marketing fluff. Imagine succeeding. 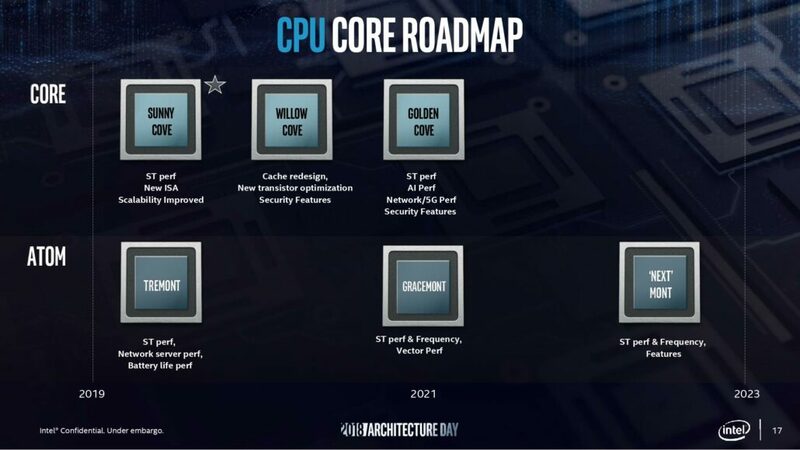 With Raja’s Intel Architecture Day (IAD), Intel successfully managed to create a new narrative, one that if not supersedes, at least matches the old. A narrative about process-decoupled innovation – something the company sorely needed in light of the growing difficulty of shrinking nodes. The response for IAD was overwhelmingly positive and is something that I believe has made all the difference in how investors perceive Intel. Overnight, the company went from a semiconductor focused on maintaining its process-leadership to one focused on maintaining its leadership (period) – with a vision that focuses on 6 different points instead of obsessing about just one. For the first time ever, Intel had conceded that AMD’s Ryzen was competition. I had not expected Intel to even acknowledge AMD’s Ryzen – as has been their modus operandi for a while now – but IAD actually contained a slide showing an AMD processor beating out Intel’s on a singular benchmark (cinebench) while the next slide showed why Intel still offered superior value in tens of other scenarios thanks to its architecture. 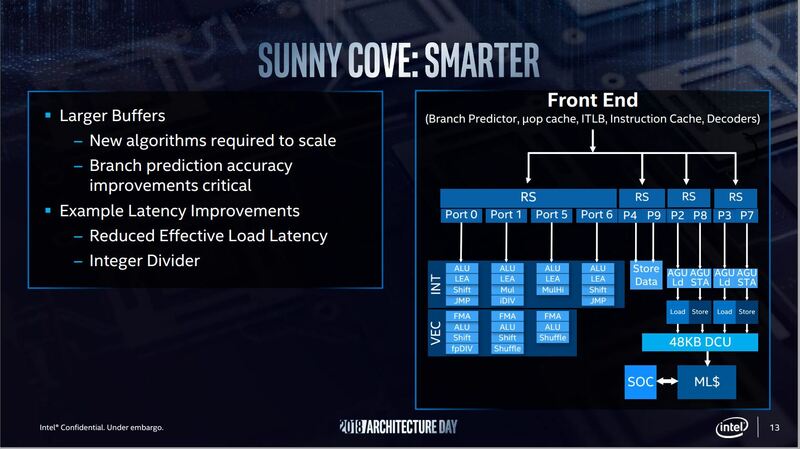 In the same breath, Intel unveiled its brand new next-generation architecture that would mark the first step of its new vision: Sunny Cove. With Sunny Cove, Raja and his team managed to decouple the company from one of its biggest risks: losing its process leadership. This is the kind of grounded innovation that Intel desperately needs right now. Raja also plans to introduce the biggest diversification in Intel’s portfolio with the introduction of discrete graphics in 2020 – and has been incredibly open about the roadmap and setting expectations. Raja has plans to make the company go from a CPU manufacturer to a CPU and GPU manufacturer (they have other branches like FPGA, self-driving and AI but holistically speaking, these are the primary roots). If he succeeds, Intel will become a company that can cater completely to the chip demands of consumers. Somebody needs to clone you and put that clone in charge of Intel enthusiast CPU marketing. Same here, we will look into it! Ok, guys…some news for you. NNP-i is 10nm Intel process. It will also include IceLake cores to handle general operations as well as the NN acceleration. It'll be a great product 🙂 You're welcome. Just want to express my thanks to @IntelGraphics, they have in a very short time become one of the best Twitter accounts, and is a must follow for anyone who loves Graphics and well Intel. It is run by wonderful people that are always there to assist you. If you were to do a quick poll right now on the best technical marketing and support for all PC companies, Intel would take the top spot easily. A year ago, they wouldn’t have made it anywhere near the top. This combination of technical competence and just plain ol’ honesty is what makes Raja and his vision such a killer combo for Intel. If the general public can reach out to the highest ranking execs and offer feedback, then this is almost certainly a new paradigm for this industry – one that fits the highly interconnected social-media driven world of today. Of course, Intel now has to deliver all that it said on IAD. Promises have been made, and the press will remember, so as the eyes of the world are on Intel to deliver the goodies shown off at IAD, I can’t help but think the best man for the top job is the one who made the promises to begin with: Raja Koduri. The man that has set out to unify Intel’s efforts, and diversify it into the GPU space is the one that is one of the most suitable candidates for CEO at this stage. Intel does not need another Brian Krzanich. 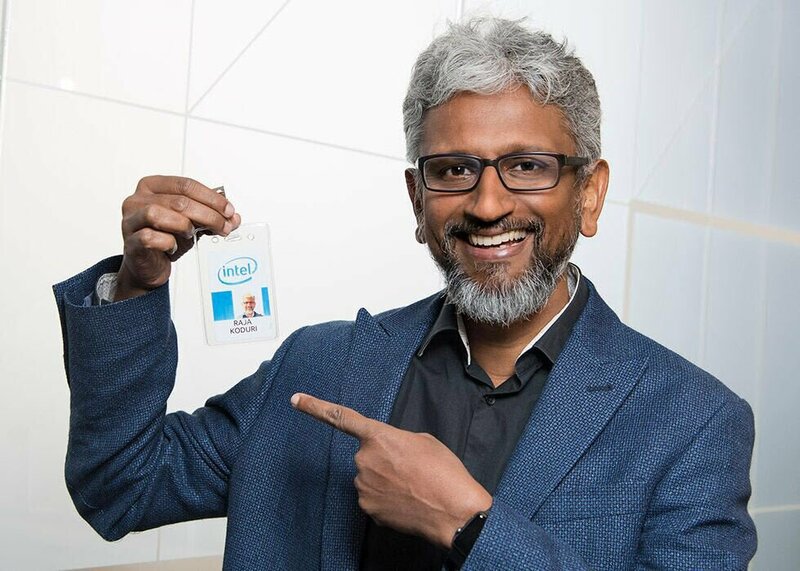 Intel needs a Raja Koduri.